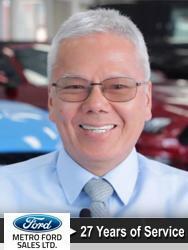 Benefits to Small Business Owners | Metro Ford Sales Ltd.
Who Qualifies for a Small Business Account at Metro Ford? If your company has 5+ vehicles, please look at our Fleet/Commercial Page. Our Fleet Department employees are highly experienced within the automobile industry. They have the knowledge and resources to provide you with the perfect vehicle for your business needs. 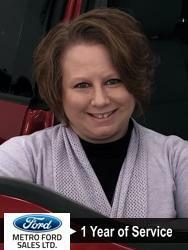 When you receive a quote from Metro Ford, you receive an “all-in” price. No additional fees. No gimmicks. To streamline purchases at Metro Ford, we offer a line of credit to small business owners. Pre-approval can dramatically increase convenience and save time for our small business customers. This can be used in any department at Metro Ford. When compared to retail programs, these programs offer superior levels of flexibility and customization. Click here for additional information. We understand that your time is valuable, so we give higher priority codes to company vehicles purchased from Metro Ford. If we don’t provide a specific vehicle modification or accessory in-house, we will arrange it on your behalf. Using a network of affiliates, Metro Ford can will ensure that you receive appropriate vehicle modifications or upfittings to meet your business needs. 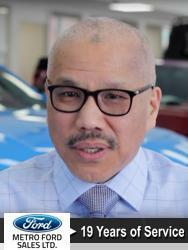 Only 20% of Ford Dealerships qualify for Ford’s Business Preferred Network (BPN). BPN Dealers are selected because they are committed to providing elevated level of service to small and large businesses. ﻿﻿﻿Please note: submitting this form will not automatically add you to a mailing list.